Once again, we have had to witness a brutal and senseless terrorist attack, this time all the more wicked for targeting a concert attended mostly by very young people, barely starting out in life. Those who lost their lives, one as young as 8, were the victims of ideology, hate and cruelty, a very dangerous mix. We have seen again how an open, free society does not always have the means to keep individuals safe at all times. I have no idea of a sustainable solution to this problem but as we confront it, we must never surrender the values we hold dear. I was saddened by another piece of news this week. 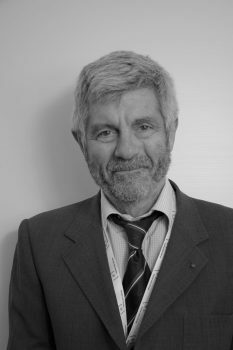 While travelling to the US, I was informed that Giovanni Bignami, the former President of the Italian Space Agency (ASI) had passed away in a Spanish hospital. ‘Nanni’ was ASI President when I first joined the DLR (German Aerospace Center) and became Head of the German Delegation to ESA. During the relatively short period we were together in the ESA Council, we tried not only to strengthen ESA but also German-Italian relations. It was always special the way Nanni presented his opinions. During our very first encounter at an ESA Council meeting in Dresden in 2007, he was sitting next to me during dinner and when I tried to argue in favour of a mission to the Moon, his reply was but the Moon is just a dead stone! Another very typical example was at the Castel Gandolfo observatory, after a Council meeting in Frascati when he gave a memorable presentation, completely unprepared, on observations of Mars in former times, touching notably on the mysterious channels or canals visible on the planet’s surface (canali, as described by the phenomenon’s first observer, Schiaparelli). There was some speculation back then that Martians might have produced these channels! And finally, it was Nanni who asked me to come to CERN to meet Samuel Ting and US Senator Bill Nelson to support the transport of AMS (Alpha Magnetic Spectrometer) to the International Space Station on a Space Shuttle. It took some time, but this hugely important instrument was finally delivered there in 2011. Nanni was right, of course. The clock is indeed ticking, and we must go to the Moon, Mars and beyond, joining forces on an international level. In one sentence: I will miss you, Nanni! (1) Genta, Giancarlo, Next Stop Mars – The Why, How, and When of Human Missions, Springer, 2017.